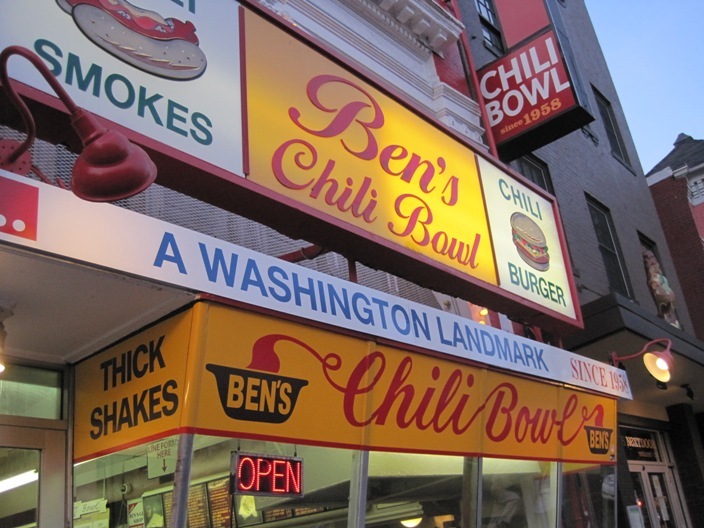 When I first found out I was going to Washington, DC for work, the first thing I did was research its food scene… Unfortunately I was travelling by myself, so my options were a bit limited. One place that came up was Ben’s Chili Bowl, a DC institution. Located by the U Street-African American Civil War Memorial metro stop, I hopped on the metro and made my way over. 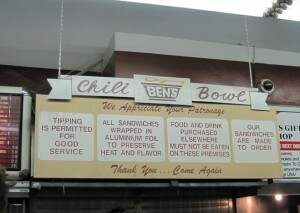 Anyway, I knew I had to go with their signature dish – (Bill Cosby’s Original) Chili Half-Smoke ($5.45). According to their website, it’s been Cosby’s favourite since the 60’s. 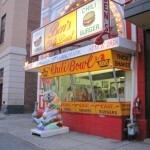 This dish consists of a ¼ lb half pork and half beef smoked sausage, which is served with mustard, onions and their famous chilli on top of a regular hot dog bun. 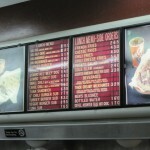 The line was moving incredibly slow and I waited over twenty minutes before it was my turn to order. However, it didn’t take long for them to give me my food after ordering, since all the sausages are already pre-grilled. 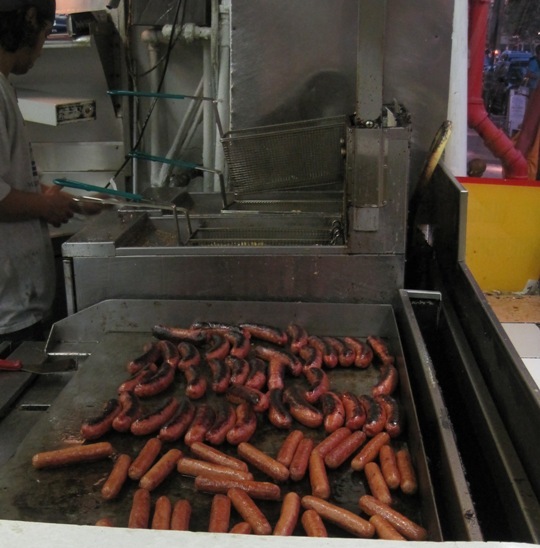 When I was in line I noticed there were dozens of sausages just sitting on the grill waiting to be ordered. They looked a little cold, but after being topped with the hot chilli, I couldn’t tell… nor did I care, as the chilli half-smoke was amazing! I loved that the chilli didn’t have beans in it, since that’s the main reason I usually stay away from chilli. It also had a bit of a kick to it and the combination of it with the flavourful, smoky sausage was fantastic. Definitely worth the wait. 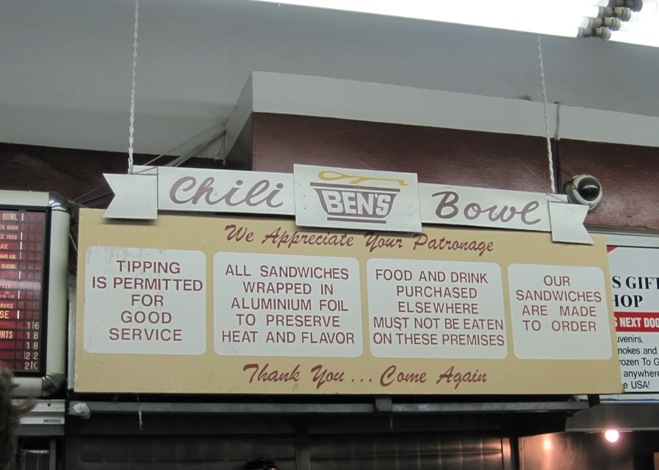 I was also thinking of getting either the cheese fries or the chilli fries. 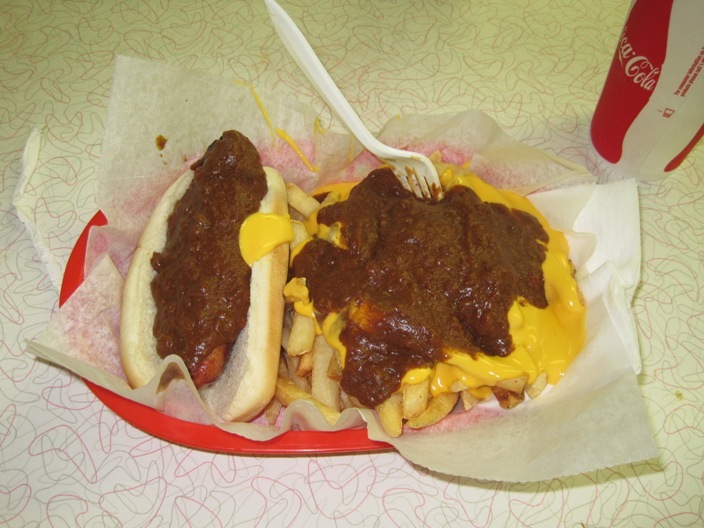 But since I was waiting in line for so long, I was famished and decided to get the best of both worlds, the Chili cheese fries for $5.45. 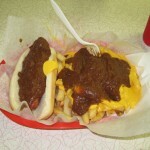 The fries were first topped with a cheese whiz/velveeta cheese mix and then with the chilli. After devouring the chilli half-smoke, I only managed to eat a bit of the chilli cheese fries. The fries themselves were just decent, and the whole thing was just okay, so I wouldn’t recommend this. If a chilli half-smoke isn’t enough for you and you’re thinking of getting fries on the side, I’d recommend just getting another half-smoke! 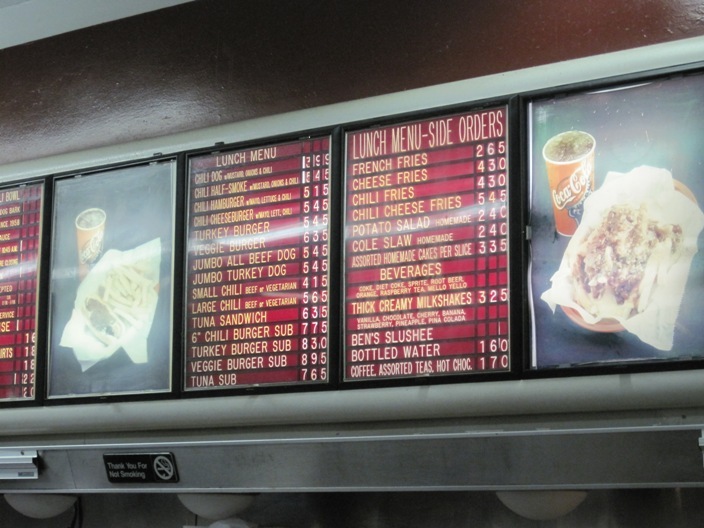 The restaurant is pretty much a fast food joint, where you pay and get your order at the counter. However, I noticed that for larger groups, they will provide table service. 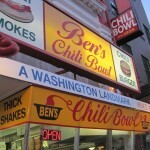 Ben’s Chili Bowl had pictures of celebrities everywhere and I could really tell this is a DC institution. 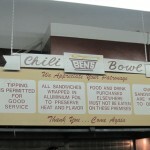 Even though the atmosphere was pretty touristy, I thought the chilli half-smoke was certainly worth the trip and wait. 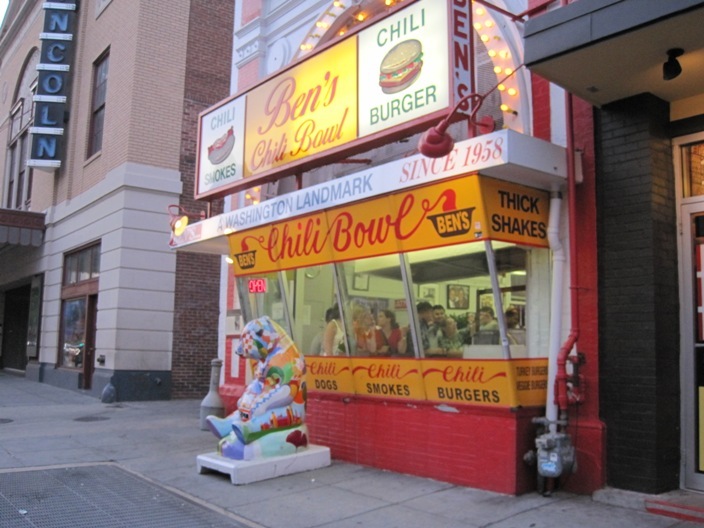 Ben’s Chili Bowl is just one of those “must-try” places when you’re in DC.